Accepts up to 26.67 cm high container. Built-in water valve. These automatic-fill, floor-standing ice dispensers meet the strict sanitary needs of the lodging, foodservice, and healthcare industries. The high-volume dispensers feature a patented 'push for ice' dispense mechanism and paddlewheel ice delivery technology. Attractively styled to complement any decor. 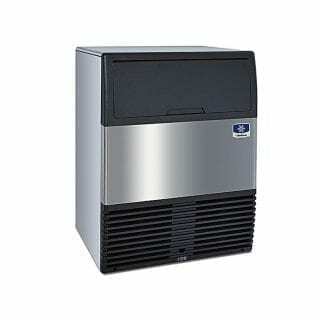 Accepts 22″ (55.88 cm) wide Manitowoc ice machines.